I’ll have to credit my sweet hubby for telling me about a retro train that you can take from London to Venice via Paris. What he discovered is actually the Venice Simplon-Orient Express which offers luxury train journeys to Venice, Paris, London, Brussels, Bucharest, and Istanbul. The trains cars are works art in the Art Deco style and they are restored original cars from the 1920’s and 30’s. 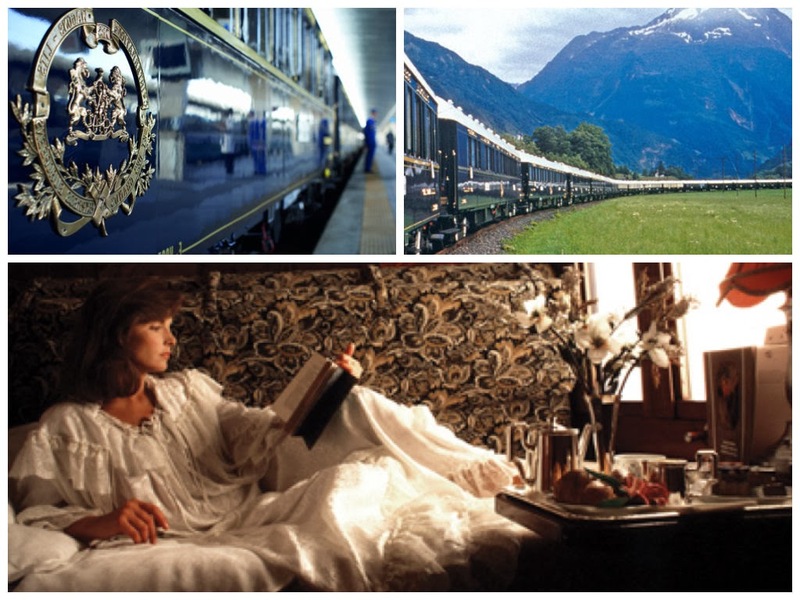 Throughout history, the Orient Express is the transportation setting for aristocracy, royalty, spies, and artists- in fiction and reality. A journey across the European continent would be a delightful experience with a romantic step back in time to the golden age of travel and the panoramic views of the ever changing landscape enroute. Such a journey does coutte trop chère for the train ride alone, so it will have fall into the fantasy category for now and it makes for a perfect fantasy get away post.